Your boat donation will give back to you in the form of IRS tax deductions. These deductions will apply to your current federal taxes and for up to five years more. We ensure that our donors receive the maximum possible tax benefits for their boat donations. Whenever you are ready our dedicated representatives are standing by to aid you with your donation. So claim your savings today, and help out someone in need. Reasons why donors choose Boats 2 Charity NPO to Maximize their Tax Deduction when donating watercraft. Easy and comprehensive donation through our experienced team. Personal evaluation and expertise in boat donations.. Absolutely free boat donation service. Evaluation and repair of your donation as needed. 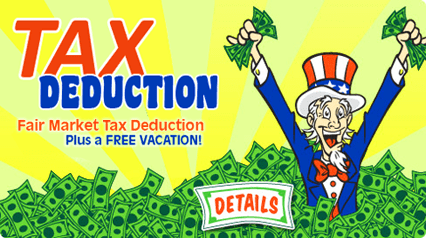 Ensured highest federal tax deduction. Donation acceptance regardless of trailer, time, or day of the week. Do you have more questions before you donate? Are you looking for a great way to give back comics to your favorite charitable causes? We are here to help you do just that by allowing you to gift all types of comics from the Golden silver and bronze age free of charge. Donate Spiderman comics, Superman comics, Green Lantern comics, graphic novels, comic art, and much more! Don’t have an inventory? No problem! Don’t have an appraisal for a comic book donation worth more than $5000? That’s no problem either! We can put you in touch with an appraiser, help you take an inventory and make sure you have everything you need to make a successful comic book donation to charity. Learn more by giving us a call or going directly to our comic book donation website.